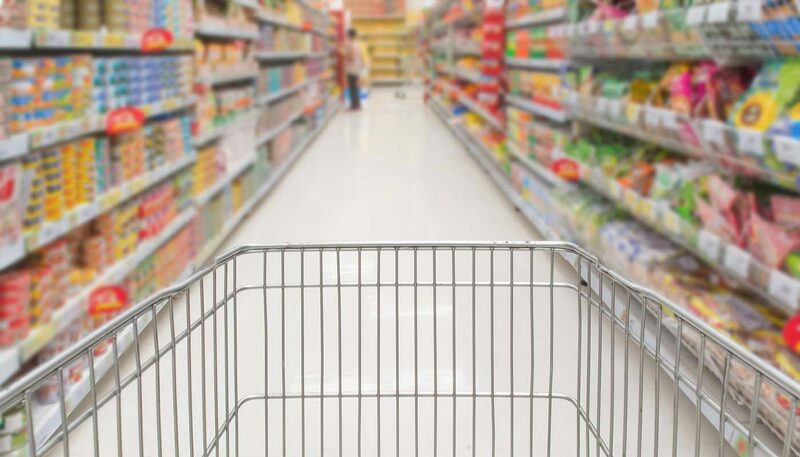 If you find the whole concept of website management and search engine optimisation (SEO) confusing, take a look at your local supermarket and how they organise all their products. For ‘products’ here, think ‘content’. One of the most difficult areas for SEO is content structure. A small website with a few pages on one tier is fairly simple to work with. If your website has multiple sections, with countless sub-sections and lots of related content spread all over the place, you’ll have a difficult job in making the whole thing navigable for a user, and you have a tough task in structuring all that for the search engines. With a wealth of content on your site, you can become an authority in certain areas and rank well for specific phrases. However, if your content is not grouped well you may be confusing the search engine into not knowing what you promote. Allow me to give you an example. Let’s say you are an auto-repair business. Your website could talk about any number of specific things that a customer might look for – exhaust pipes, replacement exhausts, cheap tyres, panel beating, MOTs, oil changes and so on. Some websites are structured in such a way that every page of the site seems to try to mention everything. This is where the supermarket example comes in. Have you ever looked at a shop that seems to sell everything and been put off by the sight of a random collection of products with no discernible layout? It’s like when you go to a restaurant and take half an hour to decide what to eat because the menu has so many items on it; a decision is impossible. When it comes to SEO, we can take inspiration from good supermarkets, which prioritise and categorise well. They let us see they sell a massive array of products but don’t overwhelm everyone by making us find what we need in a huge pile. They lead us in and give us sign posts; they group things together in sections so we can home in on what we need. Take Morrisons as a great example. The company went through a redesign programme that brought a much larger fruit and veg section to the entrance of the shop, with displays that make the food look better and more appetising. The whole ethos of the design says, “We sell healthy and fresh food.” The full product range is all there, but the main message the shop wants to promote is the initial focus. On a website, though, you can’t blind customers by chucking all your information in their faces right on the home page. You need to focus on the core messages that demonstrate what you do well and what most customers will be looking for. Now, think of a search engine spider as a supermarket customer – your website is the supermarket. Is it sensible to include a huge sitemap in your footer on every page, or to have a navigation bar that drops down links to all your pages, sub-pages and sub-sub-pages? A logical way to structure your content, if you can do it this way, is to think about which key pages you want to appear well in search engines. Do you want to be well known for your baked goods? If so, have a bakery page. Within that have sub-pages for different types of baked goods, and perhaps even more pages with articles, recipes etc. Hierarchically organise your site so that the home page links to your main sections, and perhaps some specially promoted product pages. Then try to make sure sub-sections link internally but not too much between sections. You wouldn’t walk down the soups aisle in Asda and expect to see signs promoting chocolate, TVs and fish fingers. The more you can group your content into relevant sections, without too much dilution from other sections, the better. This way you can build authority to key pages that you want to rank highest for their relevant phrases. Need help with your site structure? If so, give our team of SEO specialists a call today on 0845 123 2753 or submit your contact details here and we’ll call you back.